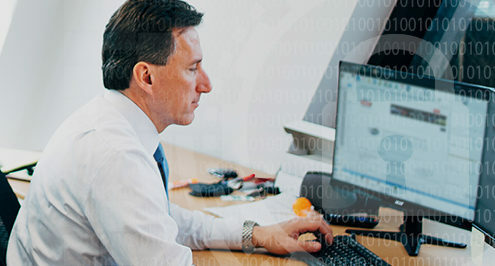 Don’t miss out on developments in the IT world with our extensive suite of research materials. We use our Resource Center to post whitepapers, eBooks and more, to keep you up-to-date on all things technology. The Resource Center is a no-cost solution for your Business Continuity, Disaster Recovery, and IT research needs! Cybersecurity spending will increase by $1 trillion in the next five years. You realize ransomware is a threat, but do you know how to fight it? IaaS provides almost limitless scalability for companies experiencing rapid growth. Countless perils, physical and cyber, constantly threaten the operation of your business. As a business, it’s important that you understand your cloud computing models and how each affects your workflow. https://continuitycenters.com/wp-content/uploads/2018/03/imgpsh_mobile_sve.jpg 266 702 Continuity Centers /wp-content/uploads/2017/07/cc-logo.png Continuity Centers2018-03-15 14:55:582018-03-29 15:04:38IaaS, PaaS, SaaS: Which is Best for Your Business? Technology is not like a fine wine. It doesn’t get better with age. https://continuitycenters.com/wp-content/uploads/2018/03/cc-infra-wp-feature.jpg 266 702 Continuity Centers /wp-content/uploads/2017/07/cc-logo.png Continuity Centers2018-03-09 23:17:512018-03-09 23:17:51Why Outsource Your Infrastructure? We set the record straight by debunking 6 of the biggest cloud myths out there. There’s a good chance you’re already using the cloud. Read this whitepaper to find out how to make the cloud work for you. Cloud mobility provides a host of scalable, flexible, and customizable solutions that can transform your company culture. https://continuitycenters.com/wp-content/uploads/2018/01/Blog2.jpg 266 702 Continuity Centers /wp-content/uploads/2017/07/cc-logo.png Continuity Centers2018-01-11 08:00:242018-01-10 16:23:07Are You Confident in Your Network Security? When a disaster strikes your place of business, you don’t have much time to act. Brains, Braiiiiiins, Braaaiiiiiiiins – these are three things required by both business continuity plans and zombies alike. In AMC’s The Walking Dead, zombies are plentiful. In your business, it’s important to plan ahead for potential disasters. You do this by meeting with your team and establishing best practices, by ensuring that you have the proper tools and resources to overcome the disaster, and most of all, by minimizing the downtime of your business. On October 3, 1993, nearly 100 United States Army Rangers dropped into Somalia’s capital of Mogadishu. They were commanded by Captain Mike Steele. Their mission? Capture two prized lieutenants of a Somali warlord. If your business is struck by a disaster of any kind, you’ll want to make sure you are prepared. If you watch Game of Thrones closely, you’ll see a few signs of a good disaster recovery plan. If snowstorms and icy winds haven't yet affected the momentum of a company's productivity and project coordination, there will undoubtedly be inclement conditions to contend with as the winter progresses. The country could be hit by a wave of major cyberattacks in the new year, based on a newly released report. In partnership with The Business Continuity Institute, Continuity Centers is proud to present its inaugural Road to Resilience Conference on Nov. 16. A huge swath of internet users were unable to access household name websites on Oct. 21, due to a massive DDoS attack. Major disasters seem to be on the rise again after a lengthy stretch of limited activity, according to newly released data from the National Oceanic and Atmospheric Administration. Malware incidents have soared at nine times the rate in 2016 compared to 2015 and most of these cases were caused by employees' actions. Almost 25 percent of employers indicate that they wouldn't know what to do or where to go if there were working and their physical safety was on the line, according to a recent survey. Nearly two-thirds of small businesses in the United States, Canada, Australia and the United Kingdom run at least a portion of their day-to-day operations via the cloud. Over 3,550 power outages in 2015 stemmed from weather-related events, new numbers suggest. Just as the dogs days of summer are known for oppressive heat, September is reputed for being the peak of the hurricane season. On Oct. 13-14, the Wyndham New Yorker Hotel, located in the heart of midtown Manhattan, will host the annual Continuity Insights Conference. The annual Disaster Recovery Journal's Fall World Conference is approaching, a must-attend for all business owners who are serious about continuity and emergency planning. After initially projecting a 25 percent chance the Atlantic Ocean would produce an unusually low number of hurricanes, the NOAA has since revised that assessment. The financial industry is in hackers' cross hairs and firms may not be able to counter these attacks, according to a new survey. The major hurricane shutout could be coming to a grinding halt this year, as forecasters believe 2016 could feature several substantial storms before the season concludes in late November, making disaster recovery planning a top priority for business owners. On Wednesday, June 29 at 4:30 p.m., we're holding our Continuity Centers Networking Social as a way to say hello and thank you to the Princeton Community for welcoming us. Let's look at five reasons why an outsourced BC and DR infrastructure is the superior choice for any tech-centric business. Let's look at some of the lesser-known benefits of DRaaS. Smart companies have already found the loophole that stops ransomware in its tracks: a complete data restoration and business continuity solution. Spring World 2016 will be held in Orlando, FL, from March 13th through the 16th. The global DRaaS market is poised for major growth in the coming years. "What's wrong with your current DR?" When that question emerges, here are some of the best points to answer with. https://continuitycenters.com/wp-content/uploads/2016/03/Whats-wrong-with-our-current-DR_1610_40111820_0_14094136_500.jpg 334 500 Continuity Centers /wp-content/uploads/2017/07/cc-logo.png Continuity Centers2016-02-29 16:21:012016-02-29 16:21:01"What's wrong with your current DR?" It's imperative that every business, of every size, has a disaster plan - and the consequences are steep if the plan is ignored. Many small operations do not reopen after a disaster, especially those without plans in place. Before enlisting help, a company needs to make sure it understands where its vulnerabilities lie. Once a business has a plan in place, the tendency is to think of the issue as solved, and not go back to reexamine their practices and procedures again. This is a mistake, a good business continuity and disaster recovery plan needs to constantly be looked at and tweaked in order to make sure it continues to cover a business in the best way possible. The right kind of plan can protect a small business from major disasters like earthquakes and hurricanes as well as smaller issues like server crashes or computer viruses. It can even help cover contingencies for what to do if a key employee is sick or leaves the company. Disaster recovery best practices have evolved significantly in the past few years, driven by the rapid transformation of business technologies, risk and the globalization of economic competition. Plenty of disaster recovery best practices are shared across industries and even regions. Business continuity and disaster recovery have become more complex and challenging matters in the era of digital operations, as companies are far more reliant upon advanced technology today than ever before. Not so long ago, experts and advocacy groups worried that the average small-business owner was fearfully unprepared for a major man-made or natural disaster, and that many of them did not understand the basic tenets of continuity. One of the more critical aspects of disaster recovery planning involves the testing of relevant technologies, processes and policies, as well as the users involved, to ensure that the framework can actually work in practice. Corporate strategies are almost always reliant upon the adequate management of people, processes and technology, and this could not be any truer than when it comes to business continuity and disaster recovery. With natural and man-made disasters becoming a bit more damaging and widespread as the years progress, more companies are beginning to get serious about continuity and recovery planning to avoid the prospect of disruptions and outages. Although many of the more prominent trends in IT to proliferate throughout the past few years have impacted a range of industries similarly, each business has to take a unique approach to management and deployment to get the job done correctly. Not so long ago, officials in Washington and leaders of small business advocacy groups warned that the average entrepreneur was far behind the eight ball with respect to disaster recovery and continuity. Hurricane season has already begun, and it is only a matter of time before the first major event of the season strikes the East Coast of the United States. Disaster recovery is one of the more challenging aspects of business management today, as risks evolve quickly, vulnerabilities can arise with virtually no notice and forecasting major events is never an exact science. Man-made downtime has become a bit more common of a threat of late, as lackluster management of IT and general operations will tend to yield vulnerabilities that can then cause disruption. As business leaders who have been around for more than a decade have probably noticed already, the best practices of disaster recovery and continuity have evolved significantly as time has gone on. Downtime has become one of the greater threats to corporate operational continuity in the past few years, and so many different types of issues can directly lead to major problems with IT department functionality and general processes in other areas of business. Not so long ago, federal agencies were urging small business owners to begin taking disaster recovery and continuity planning a bit more seriously, and for good reason. Certain industries and sectors have been faced with more complex business continuity and disaster recovery demands than others, most notably those that have a wider diversity and more intense reliance upon various technologies. Small business owners face a largely uphill battle when it comes to maintaining strong disaster recovery and continuity programs, as so many different pieces of the puzzle can be missed. Only 10 years ago, disaster recovery and business continuity were proven to be low on the average corporate priority list, and proven as such by the countless firms that were forced to shut their doors forever following a major outage. As we have asserted throughout this series, there is no substitute for a working knowledge of the intricacies of continuity when it comes to building and executing a flawless strategy to protect processes from disruption. https://continuitycenters.com/wp-content/uploads/2015/06/reason-to-attend-cpe-event-no-1-check-out-the-mobile-recovery-unit_1610_40066165_0_14107906_500.jpg 334 500 Continuity Centers /wp-content/uploads/2017/07/cc-logo.png Continuity Centers2015-06-15 12:21:132015-06-15 12:21:13Reason to attend CPE Event No. 1: Check out the Mobile Recovery Unit! In today's rapidly transforming and increasingly volatile private sector, business leaders are tasked with balancing a proverbial universe of responsibilities, which has been no easy task. To continue our countdown of the reasons why you should consider attending the Fifth Annual Open House and Contingency Planning Exchange Event, let's talk about the value of networking and brainstorming with like-minded peers. The business continuity and disaster recovery segments of operational and performance management have become a bit more pressing in the past few years. Through the past decade or so, the rules of engagement and best practices of business continuity have transformed significantly. https://continuitycenters.com/wp-content/uploads/2015/06/why-should-you-attend-the-fifth-annual-open-house-and-contingency-planni_1610_40064689_0_14049142_500.jpg 334 500 Continuity Centers /wp-content/uploads/2017/07/cc-logo.png Continuity Centers2015-06-05 15:56:152015-06-05 15:56:15Why should you attend the Fifth Annual Open House and Contingency Planning Exchange? Organizations worldwide have embraced Disaster-Recovery-as-a-Service to safeguard mission-critical assets from disruptions. In addition to dealing with Mother Nature-related incidents, organizations must contend with Distributed Denial-of-Service attacks that can cause prolonged periods of downtime. Companies cannot use any excuses when it comes to their business continuity and disaster recovery protocols. Small businesses with limited resources cannot use such lack of funding as an excuse to neglect disaster recovery. Cybersecurity must be a key part of any company's business continuity and disaster recovery protocol. Companies must always be ready to handle the unexpected when it comes to disasters. Organizations attempting to improve their disaster recovery initiatives will undoubtedly focus on safeguarding critical data and applications from future disruptions. Vendors that have made a name for themselves through traditional disaster recovery services may be able to extend their brands' reach even further with cloud computing solutions. Disruptions can strike at any moment, damaging or destroying critical systems required for daily functions. The Northeast part of the United States has been blanketed with snow recently, emphasizing comprehensive business continuity and disaster recovery strategies. Disasters can strike at any moment, sometimes with warning and other instances without any. The disaster preparedness industry has evolved significantly over the years, thanks to key technological advancements that have enabled organizations to safeguard critical resources from potential disruptions. Cybersecurity is one of the main challenges with current business continuity and disaster recovery strategies. A lot of attention and planning are needed to establish comprehensive business continuity and disaster recovery strategies. Not every organization has experienced a debilitating disaster that resulted in prolonged downtime. Organizations are expected to devote resources toward mission-critical IT areas in 2015, including business continuity and disaster recovery initiatives. Organizations have to contend with all types of incidents that test their business continuity and disaster recovery strategies. The recent East Coast snowstorm that blanketed plenty of states recently is another example of how organizations cannot overlook their business continuity and disaster recovery strategies for an instant. As companies come upon the end of the year, it's a perfect time to evaluate the shortcomings of their recovery plans and fill in all the blanks. To avoid in-fighting and other destructive forms of disunity, organizations should leverage expert guidance and technological support in their disaster recovery efforts. Here are three ways that cybersecurity and business continuity shine light on some unexpected - but critical - management connections. This is the perfect time for executives to define the improvements they'd like to see made across their businesses, especially in regard to their continuity strategies. Here are five lesser-known reasons why BC should be a top priority in every organization. Here are four signals that indicate your disaster recovery outlook is out of sync with the state of the art. Successful disaster recovery isn't just an action plan - it's a state of mind that must be shared by all. A company with short, stable RTOs is better equipped to overcome network interruptions. Data is key, but there is a whole other side of the coin in the world of business continuity: the personnel that animate the organization with value and productivity. The relationship between backup and DR has evolved drastically over the past decade, with organizations discovering the importance of continuous data protection the hard way. Here are six essential DR components that can help shed some light on the esoteric terminology and ideas that comprise this increasingly important aspect of business IT. Business continuity is all about balance, and every company must strive to achieve this equilibrium. It doesn't make sense for a builder to piece together a structure without a clear picture in mind, and the same concept applies in IT disaster recovery. There's simply no such thing as being too confident in a disaster recovery blueprint. With these three keys in mind, a company can rest assured its IT profile will be safe and sound no matter what obstacles it encounters. Whether a firm encounters a natural disaster that affects its data centers, human error throws the infrastructure out of sync or networks experience inexplicable downtime, a company needs to be prepared to navigate any circumstances. Continuity should be an integral part of a company's continuity blueprint, not a burden to its data protection goals. You can't let a single component of your recovery plan fall by the wayside if you want to stay in the running. https://continuitycenters.com/wp-content/uploads/2014/09/5-elements-of-continuity-where-is-the-missing-link-in-your-strategy_1610_666462_0_14064039_500.jpg 334 500 Continuity Centers /wp-content/uploads/2017/07/cc-logo.png Continuity Centers2014-09-15 12:09:352014-09-15 12:09:355 elements of continuity: Where is the missing link in your strategy? This September is National Preparedness Month, a FEMA initiative encouraging community leaders, business owners and citizens to prepare for natural disasters. If you are trying to convince your associates that a disaster recovery solution is the best decision for the company, you must be confident that the suggested strategy will be comprehensive and dependable when employees and customers need resources most. https://continuitycenters.com/wp-content/uploads/2014/09/can-you-depend-on-your-disaster-recovery-strategy_1610_614178_0_7076638_500.jpg 0 0 Continuity Centers /wp-content/uploads/2017/07/cc-logo.png Continuity Centers2014-09-02 15:54:392014-09-02 15:54:39Can you depend on your disaster recovery strategy? Luckily for public officials, LIRR employees and daily train passengers, an agreement has finally been reached that will let everyone get back to work for the time being. https://continuitycenters.com/wp-content/uploads/2014/06/JetBlueImageEmail.jpg 281 500 Continuity Centers /wp-content/uploads/2017/07/cc-logo.png Continuity Centers2014-06-24 18:28:102014-06-24 18:28:10Business Continuity Week is March 17-21: Will it Bring More Awareness to Businesses? Business Continuity: Should You Consult With Others Who've Successfully Gone Through Disasters? https://continuitycenters.com/wp-content/uploads/2013/12/GuyinUmbrella.jpg 6000 7500 Continuity Centers /wp-content/uploads/2017/07/cc-logo.png Continuity Centers2013-12-12 19:49:032013-12-12 19:49:03Business Continuity: Should You Consult With Others Who've Successfully Gone Through Disasters? https://continuitycenters.com/wp-content/uploads/2013/09/bepreparedsign.jpg 4000 2830 Continuity Centers /wp-content/uploads/2017/07/cc-logo.png Continuity Centers2013-09-30 09:54:242013-09-30 09:54:24Disaster Recovery: How Prepared is Your Business? https://continuitycenters.com/wp-content/uploads/2014/06/DominosBlog11.jpg 800 1000 Continuity Centers /wp-content/uploads/2017/07/cc-logo.png Continuity Centers2013-07-12 18:06:232013-07-12 18:06:23What is a Business Continuity Plan and Why Do You Need It?